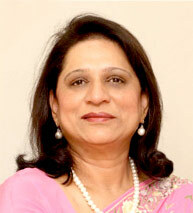 Ms. Urvi A. Piramal is the Non - Executive Chairperson of Ashok Piramal Group. Ms. Urvi A. Piramal, oversees a professionally managed business conglomerate with business interest in Real Estate, Textiles, Auto Components, Cutting Tools and Renewable Energy. She is the guiding force behind the Group’s sustained and profitable growth, which is bringing the Group Companies closer to realizing her vision of touching the lives of one in five people across the globe. Ms. Piramal has a Bachelor of Science degree and has attended the Advance Management Program at Harvard Business School. She is a member of Technology and Quality Improvement Committee of IMC since its inception in 1994. Ms. Piramal has received a number of awards for her contribution to business. She was awarded the Qimpro Gold Standard Award for excellence in Managing Quality Improvement programmes across the Group. She has won the Outstanding Woman Industrialist Award presented by the Marinelines Junior Chamber and the Yami Woman Award for her outstanding contribution to business by The ITC Grand Central. She also has to her credit the Cheminor Award from the Indian Institute of Materials Management. She was honoured with the Giants International Award in recognition of her outstanding contribution to business in 2015. She is a Trustee of the Piramal Education Trust, Ashok G. Piramal Trust, Urvi Ashok Piramal Foundation (UAPF) which has been set up for the underprivileged and Wildlands Conservation Trust. Through these trusts, Ms. Piramal has initiated social projects in Rajasthan, Maharashtra and Madhya Pradesh. She is also on the Board of Population First, an NGO working on creating awareness for the girl child. Mr. Rajeev A. Piramal is the Executive Vice-Chairman and Managing Director of Peninsula Land Limited. He spearheads the Real Estate business of the Ashok Piramal Group and leads all aspects of the business from strategy to operations. Under his leadership, Peninsula Land Limited has grown robustly, developing over 6.4 mn. sq. ft. of development in the residential, commercial and Retail Sectors. Under his leadership presently 16 mn. sq. ft. of premium Real Estate is under development. He has transformed Peninsula Land Limited from a Mumbai-based Company to one with operations spread across eight cities in four states. 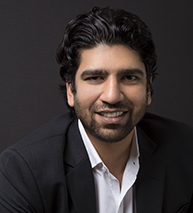 After completing his BBA (Bachelor in Business Administration) from Baldwin Wallace College, Cleveland, USA, he began his career as a management trainee at Nicholas Piramal. In early 2001, he entered the Real Estate Sector and became a Director at Peninsula Land Limited. In the last 14 years that he has been associated with the Real Estate Sector, Mr. Piramal has played an instrumental role in developing some of the landmark projects in Mumbai. He was a part of the team that developed the first Textile Mill Land in Mumbai, after the Government opened up development of Mill Land. Peninsula Corporate Park was developed on Textile Mill Land in Central Mumbai and this project transformed Lower Parel into a new age business District. He also played a crucial part in the development of the first mall in India i.e. Crossroads. Mr. Piramal was in charge of the operations of Crossroads that brought in a new concept of shopping to India. Peninsula Business Park, Peninsula Technopark, Ashok Towers and Ashok Gardens are some of the other iconic projects developed under his leadership. In 2005, Mr. Piramal took over as the Executive Vice- Chairman of the Company. He has enabled Peninsula Land Limited to create a strong brand for itself. He firmly believes that quality and timely execution of projects are the key factors leading to success in the Real Estate business. In the year 2012, Mr. Piramal took over additional responsibility as the Managing Director of the Company. He is passionate about sports. He was appointed as co-opted member of the Asian Football Confederation (AFC) Ad-Hoc Committee for Professional Clubs for the term 2011-2015. In addition, he also has been appointed as a member of the AFC Ad-Hoc Committee for Indian Professional Football. Mr. Nandan A. Piramal heads the sales and marketing teams at Peninsula Land Limited, which has nine residential and commercial Real Estate Projects across India. He has conceptualized and implemented marketing tools that have transformed project launches. He has also revolutionized the traditional sales model to a more global and effective one. Projects launched under his leadership include Peninsula Heights in Bengaluru, and the Mumbai based Carmichael Residences and Celestia Spaces at Sewree. Mr. Piramal began his career as Vice Chairman at Piramyd Retail – India’s first international standard Shopping Mall. He was responsible for handling all aspects of the business, including strategy and expansion. Under his leadership, the company went from a private company with 2 Stores to a public Listed Entity with 40 Retail Stores. He also conceptualized and launched Corporate Social Responsibility (CSR) at the Ashok Piramal Group. The CSR projects include mobile health vans providing medical aid at peoples’ doorsteps and vocational training institutes. Mr. Piramal is an alumnus of University College, London. 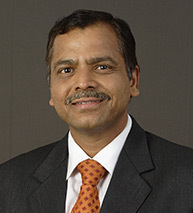 Mr. Mahesh S. Gupta is the Group Managing Director at Ashok Piramal Group. He oversees all businesses of the Group which comprises of Real Estate, Textiles, Auto Components, Cutting Tools and Renewable Energy. Mr Gupta has over 3 ½ decades of professional experience in the areas of Business Management and all dimensions of finance. In his current role since 2005, he plays the role of formulating the Group’s business strategy, steering the Group to achieve its goals and a significant role in guiding each business to attain profitable and sustained growth. Under his stewardship, the Group formulated an aggressive plan which has seen the businesses grow by leaps and bounds. Mr. Gupta leverages his in-depth understanding of the business to enhance the growth of the Group. 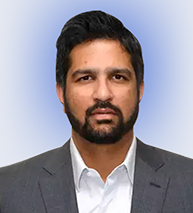 He has been associated with the Piramal Group for about 18 years, as Group CFO and was also on the Board of several Companies, including Whole-Time Director of Nicholas Piramal Ltd (now Piramal Enterprise Ltd). During this tenure, he was part of the core team which was instrumental in transforming Nicholas Piramal from a small enterprise to amongst the top three Pharmaceutical Companies, mainly through mergers and acquisitions. He has also worked with the RPG Group as Group CFO and Management Board Member. The RPG Group comprises of Companies such as CEAT Limited, KEC International Limited, CESE Ltd, Philips Carbon Black Ltd, RPG Life Sciences Ltd, Saregama Ltd, Zensar Technologies Ltd. etc. Mr. Gupta has received a number of recognitions for his business acumen. He was awarded the CFO of the Year Award, Special Commendation for Financial Excellence (Mergers & Acquisitions Category) in 2001 by IMA (formerly known as EIU), New Delhi. He is on the Board of several Public Listed Companies such as Peninsula Land Limited, Morarjee Textiles Limited, CEAT Limited and RPG Life Sciences Limited. From time to time he has also been associated with various Committees of The Institute of Chartered Accountants of India (ICAI) as co-opted member, Member of Governing Council of Indian Association Corporate CFOs & Treasurers (InACT), Advisory Board of Chennai Business School. Mr. Gupta has an Honours Degree in B.Com; L.L.B (Gen.), Fellow Member of The Institute of Chartered Accountants and The Institute of Company Secretaries of India. He has an outstanding academic record and is a Third Rank Holder and a Silver Medalist in Company Secretaries Final examination.